Years ago in our first apartment we had something like this and I have been looking for a good one ever since. Luckily Ohuhu came to my rescue with the perfect holder for our brooms, mops, and dusters. 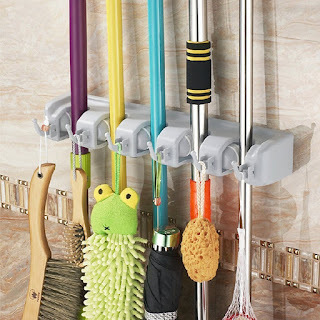 We had been storing our mops in the bathroom tub with the pails, and the brooms were stored in between the stove and refrigerator, always falling over, getting in the way when ever we were to take them in or out. Every Time we used the garbage or took it out they would all fall over. As for the mops well every time someone wants a shower they have to take them out of the bathtub and then remember to put them back when they are done. 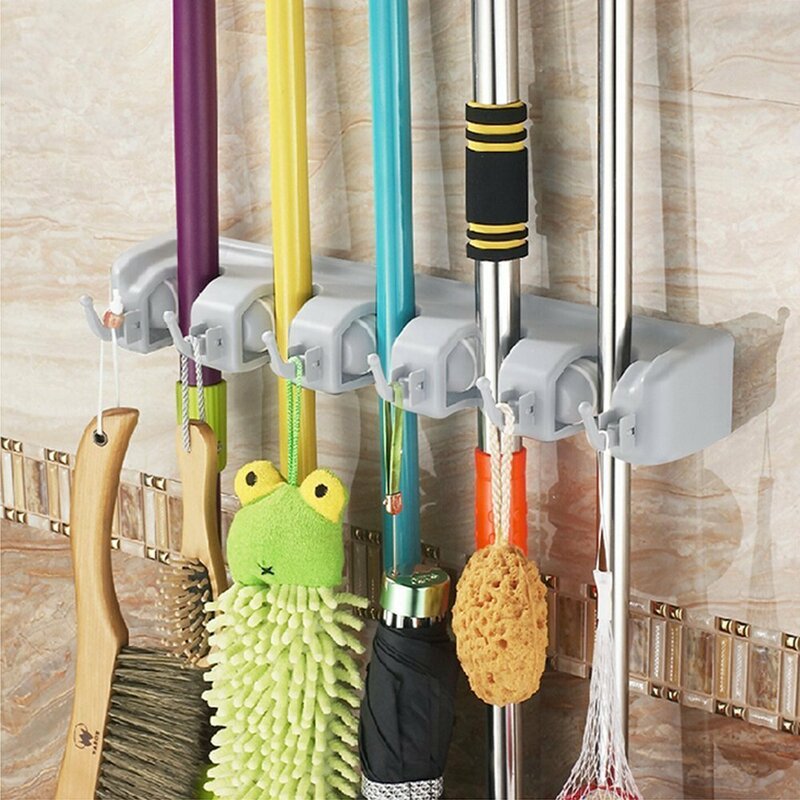 The Ohuhu broom and mop organizer installs quickly and holds our mops, brooms, and dusters well. You don't have to fight to get them to stay and when you remove them you don't have to pull hard to be ale to use them. Organization is key at any age really, now that I am getting older I like to have everything where it needs to be, I don't like having to look all over the house for the items I need. Even though we live in a huge house, we don't have a broom closet which was half the problem, but we do have a basement and there is a wall there that this fit into just perfectly. Now to find a spot for those pesky mop pails. 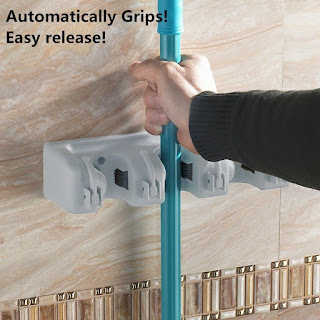 You can purchase the Ohuhu Mop and Broom Holder on Amazon. 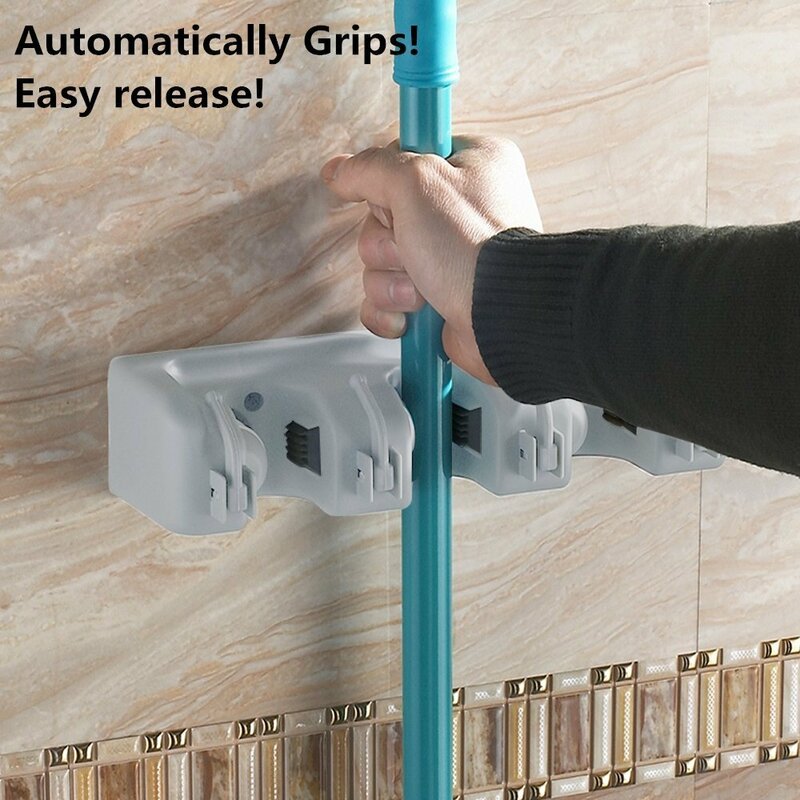 This Ohuhu® Mop and Broom Holder / Magic Holder is a must have for every family! 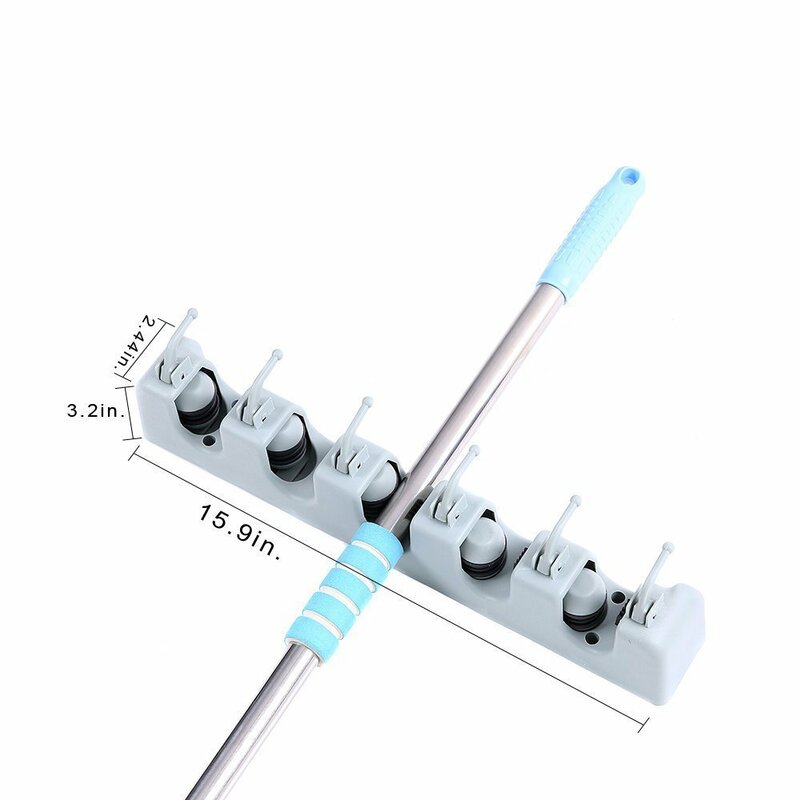 -Package dimension: 16.15" x 3.35" x 2.76"